InfinixMobility is now pushing an update to Zero 5 smartphones. Facial unlock is one of the major feature attached to it. Therefore, you will find this post useful if you have upgraded your Zero 5 to the new version. 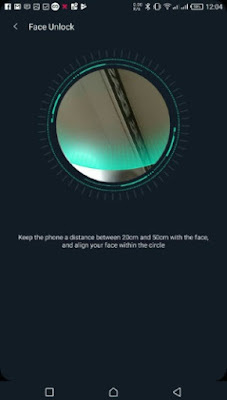 The facial Unlock or face ID feature works with the frontal or selfie camera. Once you place it in front of your face, your phone gets unlocked. Just as safe as fingerprint scanner feature. Go to your Phone Settings>>Security and then tap on “Face Unlock” and input your security PIN, if you have any on your smartphone. To ensure the best effect, please keep the phone 20-50cm with your face, and avoid too bright or too dark light. Make sure that the facial image enrolled is clear. Pay attention to personal status, and avoid glasses, clothing, mask, beard or heavy makeup covering face. Your phone may be unlocked by object or person, the appearance or outline of which is similar to you. The security of Face Unlock is lower than that of fingerprint, pattern, PIN and password. 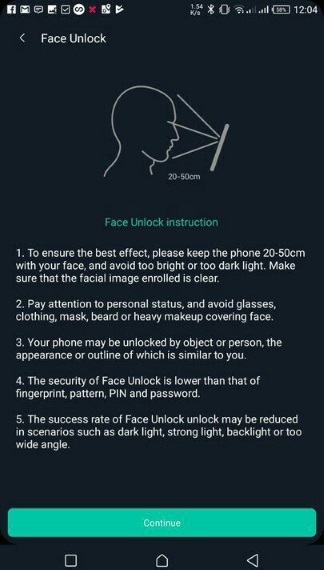 The success rate of Face Unlock unlock may be reduced in scenarios such as dark light, strong light, backlight or too wide angle. 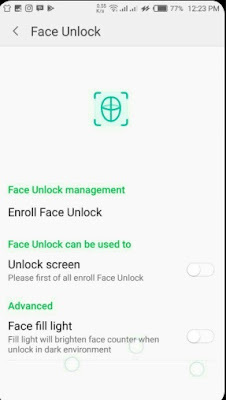 Tap on “Continue‘ and make sure your face is aligned properly into the circle and your facial unlock will be registered after this step. Now, you can now open your locked phone at a very high speed using your face pointing to the frontal camera. You can also use Face Fill Light feature to brighten face counter when unlocked in a dark environment. Note that the Oreo official OTA update for Zero 5 flagships is expected to be released latest August 2018. The Infinix Zero 5 comes loaded with some impressive hardware that delivers real value. The dual-camera setup and the big battery stand out but it misses the current trend of the bezel-less display which is seen in the latest Honor 9i. As far as competition is concerned, the device faces a tough competition with the likes of recently launched Oppo F5, the Honor 9i, Mi Max 2 and Moto X. If you are looking for a phone with a big screen, huge RAM, fast charging and dual camera phone, you can definitely go for Zero 5.